This may come as a shock, but summer is coming to an end. The unofficial end of the season, Labor Day, is September 3, 2018, aka coming right up. And while we love to get out of town for a three-day weekend, there is absolutely nothing wrong with staying local. Here are some of our favorite events and activities to make the most of your Labor Day in L.A. The L.A. County Fair opens on August 31. This year the theme is Historic Route 66, and there are all the games, rides, fried foods, and assorted fair stuff you could possibly desire. On Monday, the main performance stage turns into a Mariachi USA Fiesta, with entertainment from some of the country’s premier mariachi musicians. Spaces in the W Hollywood hotel, from the pool deck to private suites, will all become stages for this weekend music festival. Performers include Charli XCX, Phantogram, Betty Who, and Chromeo. Look for special food pop ups, flowing Veuve Cliquot, and spa treatments to upgrade your experience. There are a bunch of big exhibits arriving at L.A. museums in the fall, but that means summer exhibitions have to get packed away. A ton of shows are closing right at the beginning of September, so use the long weekend to finally check them out. This is your last chance for Made in L.A. at the Hammer, Jim Henson at the Skirball, Shinique Smith at CAAM, and more. Follow the delicious, smoky scent to Smorgasburg on Sunday, September 2, for a full rack of barbecue vendors. Pitmasters will be on site from Bartz, Bludso’s, Pearl’s, Ugly Drum, Black Sugar Rib Co., and more. Save some room for dessert, because next to all that meat goodness will be the dairy delights of Ice Cream Alley, with frozen treats from McConnell’s, Sweet Rose Creamery, Wanderlust Creamery, and Churro Boss, among others. Boats. They’re like cars, but for water. If you’re looking to hit the high seas, start-up Boatsetter has recently launched their boat-sharing service in L.A. It works like Airbnb, but for boat-owners to list their vessels, and you to pick which one suits your fancy. Specify where you want to embark, how many passengers you’ll have, and if you want a captain to steer the ship. Instant boat party. Pay a visit to West Adams on Sunday, September 2, for the annual neighborhood block party, presented by local record label Delicious Vinyl (and their adjacent Delicious Pizza). Live music this year comes from KRS-ONE, Masta Ace, DJ Nu-Mark, and Niña Dioz, among others. Shop a Delicious Vinyl pop-up merch shop full of limited-edition items from Lil Yachty, J. Dilla, and other artists. When hunger strikes, you’ll have food vendors to try including the recently opened Alta Adams and Highly Likely. Bonus: Entry to the party is free and open to all ages. Remember back in the spring, when you were so excited for the outdoor movie screening schedules to come out? How many have you actually gone to this season? Labor Day Weekend is your chance. Our guide has 20 different showings over Labor Day weekend for you to pick from, including Selena at the Autry, Coco in Huntington Beach, and Beverly Hills Cop at Hollywood Forever Cemetery. Get your blankets and lawn chairs ready. Curated by the Los Angeles Times, this huge food festival consists of four individually-ticketed events, all taking place at the Paramount Studios backlot. It kicks off on Friday with an opening night soirée full of bites, drinks, and copious celebrity-chef-spotting. On Saturday and Sunday the snacking and drinking continue, as do panel discussions and live demonstrations. Look for a number of the city’s best dining spots to be recreating dishes that were personal favorites of late food critic Jonathan Gold. 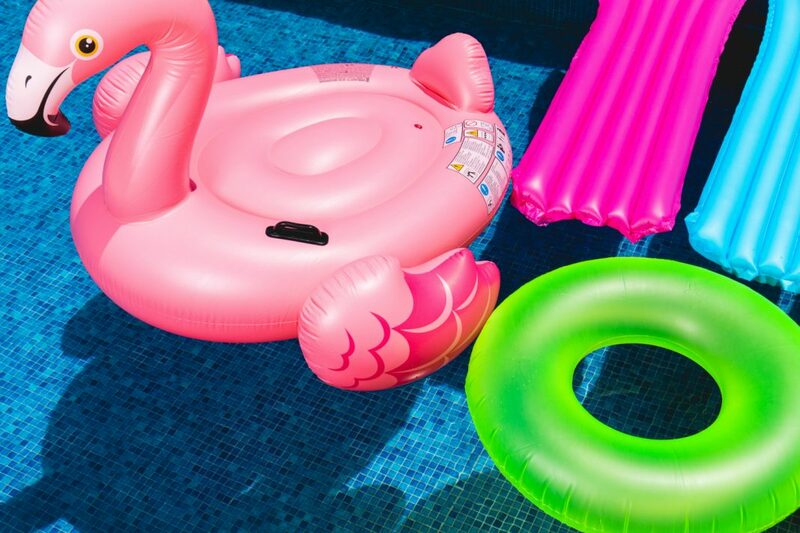 Summer isn’t over until it’s over, so live your best flamingo-floaty life at a Labor Day weekend pool party. Highlight Room will have a cookout-themed shindig on Sunday afternoon that includes classic barbecue bites and sides (including Impossible burgers!) for $25, along with your access to water and views. The David Hockney-designed Tropicana Pool at the Hollywood Roosevelt will have special guest DJs spinning all weekend long. On Sunday, Mark Farina will play an impressive six-hour set of tunes poolside at Liquid Frequencies at Custom Hotel. For a more low-key pool vibe, plan a brunch outing to Viviane at the Avalon in Beverly Hills or check out our full guide to other L.A. pools you can visit. “Fleet Week” is an annual tradition in which Navy, Marine Corps, and Coast Guard ships will dock in a particular city to allow sailors a chance to do the town–and offer civilians a chance for a patriotic display. L.A.’s version, which happens in San Pedro, may not be quite as famous as New York’s, but military buffs still seek it out. The weekend schedule includes fireworks, public tours of seacraft, film screenings, and a concert by the Beach Boys. RELATED: Our Guide to the Best Food and Drink Events in L.A.